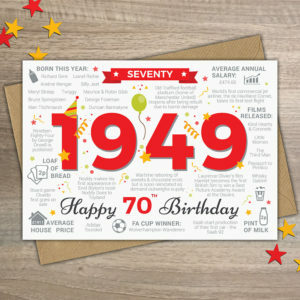 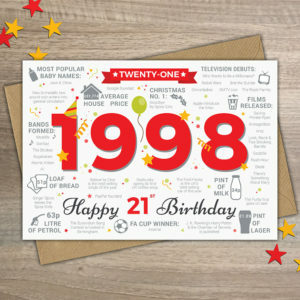 A Milestone Birthday card to celebrate thirtieth Birthdays in 2019. Bursting with fun, interesting and sometimes shocking facts and events from the year 1989. 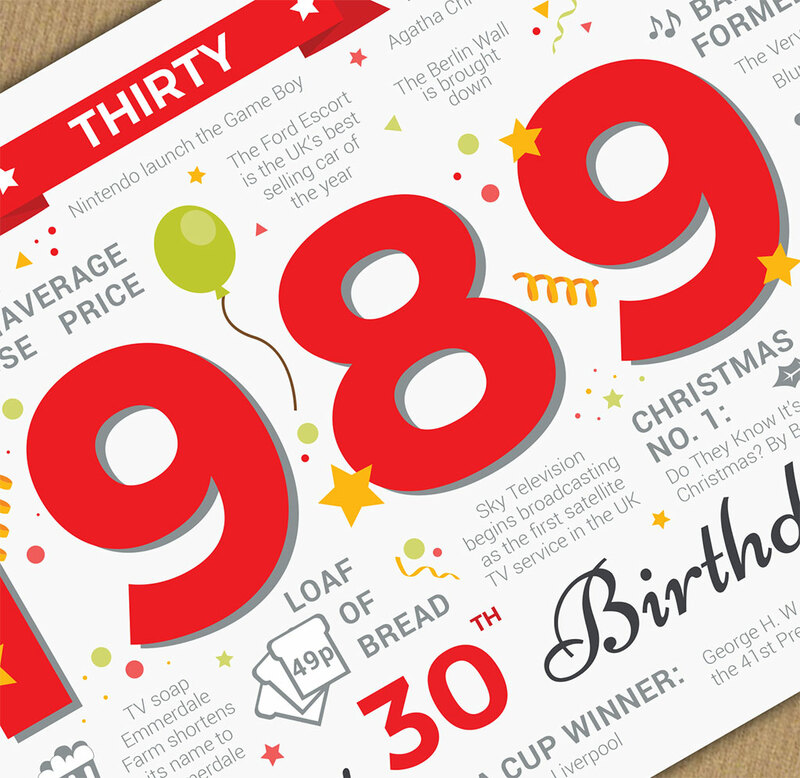 Take the receiver on a trip back thirty years and reminisce on what was happening in 1989. For example, did you know that in 1989… Byker Grove first aired on TV, a litre of petrol cost just 36p (those were the days! ), the band Blur was formed and Taylor Swift was born!